Were the characters in the movie based on actual players? For the most part, all of the characters in the movie are entirely fictional. 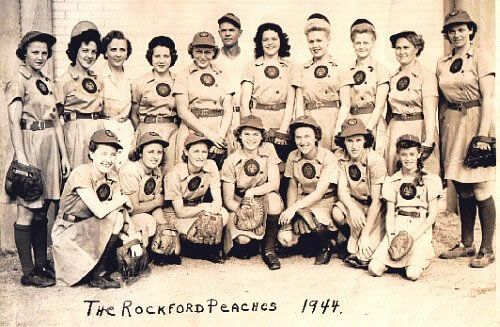 A website dedicated to real life Rockford Peach Dottie Green claims that Geenie Davis' character of Dottie Hinson was loosely based on Dottie Green, who was a catcher for the Peaches from 1943 to 1947. The web site (now defunct) was designed by Doug Green, who I'm assuming is her son or some other relation, leading me to question if Doug is the only one drawing the similarities. 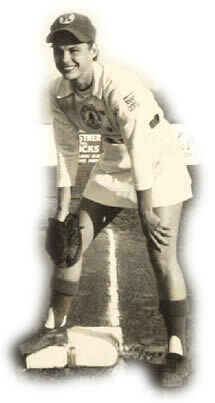 A knee injury forced Dottie Green to quit the Peaches. She went on to work with the team as a chaperone. 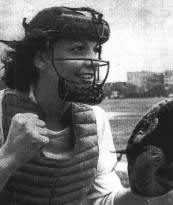 Other sources claim that Geena Davis' character of Dottie Hinson was based on other real life players, and (according to the AAGPBL website) many claim that her personality closely resembled that of All-Star catcher Mary "Bonnie" Baker (pictured right), who played for the South Bend Blue Sox. Bonnie Baker did have a sister, Gene McFaul (George), who played in the league as well, but there were several other pairs of sisters also playing in the league. When did the League exist? The All-American Girls Professional Baseball League existed from 1943 to 1954.
featuring the Tom Hanks quote. Did a Chicago candy-bar mogul really initiate the creation of the All-American Girls Professional Baseball League? No. Chewing gum mogul Philip K. Wrigley, who had inherited the Chicago Cubs baseball organization from his father, was responsible for initiating the creation of the girls professional baseball league. He did so fearing that Major League teams would disband as the players went off to war. What were the ages of the players? The majority of the players were in their early twenties, but several players were in their teens with some as young as 15 years old. Did the women really wear skirts and have to take etiquette classes? Yes, the women players did wear skirts to play, and they were actually required to take etiquette classes. You can read the text of their official charm school guide (here), which was found in the collections of the National Baseball Hall of Fame Library. Why did the league become extinct? 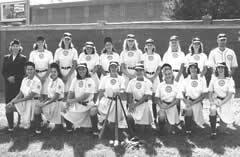 The All-American Girls Professional Baseball League folded due to the men returning home from the war and due to the advent of television. Fans no longer needed to fill their baseball cravings by going to ballparks. Major League Baseball could be fed via TV right into the living room. 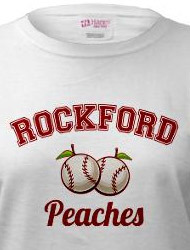 Was there a television show that was based on the movie A League of Their Own? As a result of the film's popularity and box office success (earning around $107 million dollars domestically in the U.S.), a television spin-off was launched by CBS in 1993. Penny Marshall produced the series, and both Penny Marshall and Tom Hanks each directed an episode. The short-lived show starred Carey Lowell ("Law and Order" 1996-1998) as Dottie Hinson. Are there any professional women's baseball teams playing today? 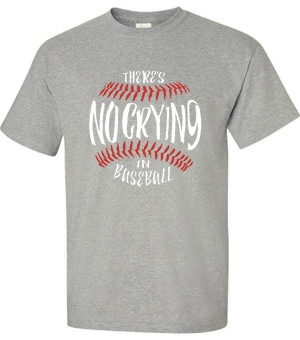 At the moment, there are no professional women's baseball teams in operation. The Colorado Silver Bullets, who were a promotional team for the Colorado area brewing company, disbanded in 1998. 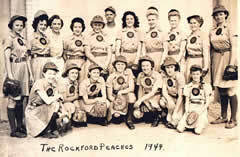 They mainly played against "Double A" mens professional baseball teams, and were not part of a women's league. 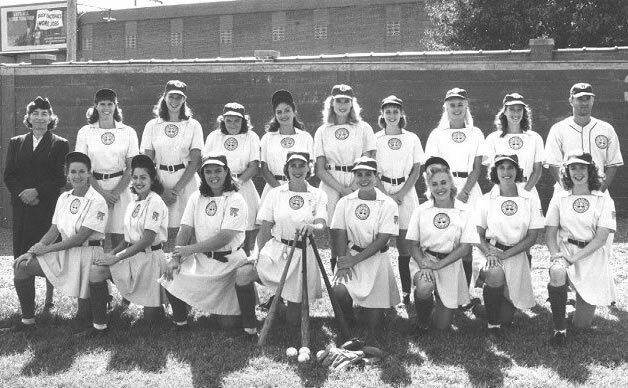 The "Ladies Professional Baseball League" that was formed in 1997 under the title of "Ladies League Baseball" expanded eastward from the U.S. West Coast in 1998 to include teams in Buffalo NY. and Augusta NJ. The league played 16 games of a 56 game schedule before disbanding due to rising insurance costs, low attendance, and expensive stadium rent fees. 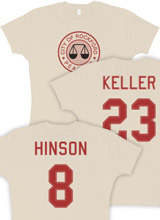 Are there any women who have played baseball with men professionally? There seems to be no record of a woman ever playing on a Major League Baseball team. However, women have played with men professionally in the minor leagues, and in 2003, former female UNLV softball coach Kendall Burnham (left) gained notoriety by signing with the San Angelo Colts, where she played alongside her husband, San Angelo Colt Jake Burnham. "We're on the same team and we've got a common goal, to help this team win," Jake told the San Angelo Standard-Times. "And if there's anybody who knows how I play it's her after working out with me all winter. Maybe she can give me some advice." 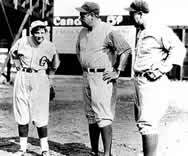 (User Question): I heard that a girl struck out both Babe Ruth and Lou Gerhig in a baseball game. Is this true? featuring a creative team design. Does professional women's football exist? Yes. The Women's Professional Football League (WPFL) officially began play with eleven teams on October 14, 2000. It was the first women's football league to truly operate on a national level. It was formed as a result of the success of 1999's No Limits Barnstorming Tour that took a group of top women athletes from around the country and separated them into two teams, The Minnesota Vixens and the Lake Michigan Minx. Browse the homepage of the Women's Professional Football League.